Our well traveled intern, Adrienne, has written another great blog for us about her VolunTourism trip to Peru. Cusco, one of the most popular destinations for adventure tourists in South America, will have a 30% increase in visitation (foreign and domestic) this December from the previous year, according to Peru’s National Chamber of Tourism. The Inca citadel of Machu Picchu, which is a World Heritage site, has attracted many more visitors recently than in past years. Although there’s always the controversy of an increase in visitors destroying the site by simple "wear and tear", this growth is estimated to bring in around $3.3 billion dollars. In a developing country like Peru, $3.3 billion can go a long way in sustaining the local economy and increasing wages for Peruvians. But why such a drastic increase in a mere 12 months? The global economy hasn’t seen THAT much of an improvement since last year, so what could be behind the driving force of people’s desires to see the ancient lost city? For everyone I’m sure it’s different. Some may want to experience the new hype of Peruvian food, or maybe the big centennial celebrations of Machu Picchu have caught people’s eye, or it could just be a stop along the way while exploring the northern region. 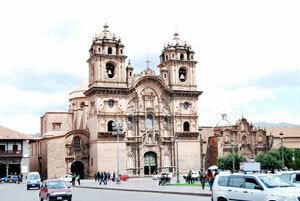 But my desire to travel to Peru in late spring is a bit more personal. About five years ago, I did a VolunTourism project with my class in the mountains of the Cajamarca region. It was a remarkable experience that I will never forget, but I felt like my time with the locals and immersion of the culture was cut a bit short. While helping a family build a brick stove, I loved the time I got to spend with the mother, Beatriz, and her two children, Carmen and Ernesto. Beatriz is one of the sweetest woman I’ve met and Ernesto was a firecracker of energy. With quiet and helpful Carmen, they make a very welcoming and giving family, despite how little they have. We would drink coca tea while she described typical day-to-day life and the struggle of not having a grown man around. She’d pipe in every now and then with a joke about which voluptuous cui she would love to cook up next, it would lighten the mood a touch during serious conversation. But that’s just it, a woman who struggles so much every day finds simple pleasures out of jokes about rodents. The culture in Peru is truly one of a kind, filled with history and beauty. So, then the question should be, who wouldn’t want to go to Peru now? Machu Picchu was the most breathtaking site I have ever seen in my (short) life, and I still feel like I need to go back. It’s not just the thought that thousands of years ago, a civilization was built atop a mountain with bare hands and what we would consider today to be unfit tools for building. But the culture that surrounds the stone city from top to bottom is just as breathtaking itself. Exploring the history of the ancient civilization can give you an insight into the genius that made the short-lived Inca Empire so successful. The Inca Trail Trek is remarkable, but if you’re not up for the trek, the new Inca Rail is a convenient alternative to reaching the peak of the mountain. Machu Picchu, the Inca’s, and the ever-expanding Peruvian tourist attractions are things that should not be passed up on a Peru Tour. The culture is rooted deep in the lives of Peruvians, but like other historic civilizations, it is uncertain how long it will last before their originality becomes blurred with modernity. Of course it depends on what one is looking for on their travels, but an insightful look into the culture along with spectacular adventure can all be well achieved on a VolunTourism trip to Peru. Not only does it provide so much satisfaction for the traveler with the people and natural beauty, but the feeling of walking away knowing you made a positive difference in someone’s life is rewarding all on it’s own. 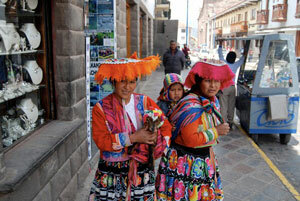 In Peru especially, VolunTourism is very popular. Among the many tourists that have visited Machu Picchu in the last 12 months, almost fifty percent have come in groups partaking in volunteer projects. VolunTourism, for those that aren’t aware, is a mix of tourism and volunteer work that combines to create a great travel experience. The vast majority of VolunTourism projects are relative to ecotourism in three ways: socio-cultural, environmental, and economic. There are many organizations that are centered on creating an affordable and fun experience where the volunteer has the opportunity to give back to a community that really needs help, and sometimes in more than just one way. By building a fence or clearing drainage ditches you improve the community, but at the same time you can teach children how to speak English, fully immersing yourself into the culture and improving their cultural perspective as well. For both the destination community and the traveler, the benefits from VolunTourism are endless, without digging a hole in your wallet. 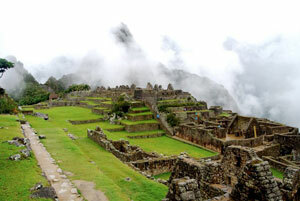 Global Basecamps specializes in planning sustainable, Peru tours to Machu Picchu for the eco-conscious traveler.